4/Per that exclusive report: FBI officials in the Little Rock field office are not actively pursuing leads on the Clinton Foundation, according to several FBI insiders who are blowing the whistle on the bureau’s investigative ruse. 5/Everyone and their mother knows the Clinton Foundation is a front for personal and private gain, bending and breaking numerous state and federal laws for decades. 6/So what or WHO is the problem? Little Rock FBI’s special agent in charge Diane Upchurch - a McCabe loyalist who has all but smothered the investigation which at one point was focusing on money laundering & other financial-based crimes, FBI officials said. 8/McCabe & Comey have since been fired from the FBI, but their legacy & influence live on - #DeepStateCorruption - But not for long, according to Charles Ortel. 9/Charles Ortel has extensively investigated The Clinton Foundation, calling it "The Largest CHARITY FRAUD OPERATION Ever Attempted"
12/Will We Let Rosenstein, Mueller w/Others Continue Obstructing Investigations of Criminal Conspiracies In Which They Are Prime Suspects, To Protect The Obamas, The Bushes & the Clintons? 13/Doesn't Bill keep a residence at the Clinton Library in Little Rock? According to some, he does. 14/Hillary: Oh hell no, how many boxes did they take? 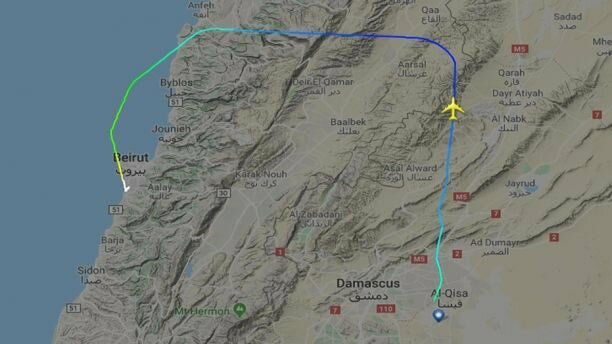 #Qeshm Fars Air, an Iranian civil aviation company, is suspected of smuggling arms into #Lebanon, destined for the militant group #Hezbollah and #Iranian weapons factories. 1.) If haven't been on another planet, you would already know that the FBI field office in Little Rock, Arkansas has taken the lead on a NEW investigation against the Clinton Foundation!! 3.) Looking at the info that was passed from a airport employee the tail number checks out as belonging to the Department of Justice. How is Alwaleed and HRC connected? How is Alwaleed and Bush Sr./Jr. connected? What war did we enter into? What was the purpose and disclosures given re: justification? In last 24hrs one of the most historic summits of our age took place. Historic because 3 presidents, #Clinton, #Bush, & #Obama, never secured an opportunity like this w/#NorthKorea leadership. The fact that @realDonaldTrump secured this meeting, and did so only 18 months into his presidency, shows his determination to keep his campaign promises to the #American people. Kim Jong Un entered this meeting knowing that he was going to agree to #denuclearization.